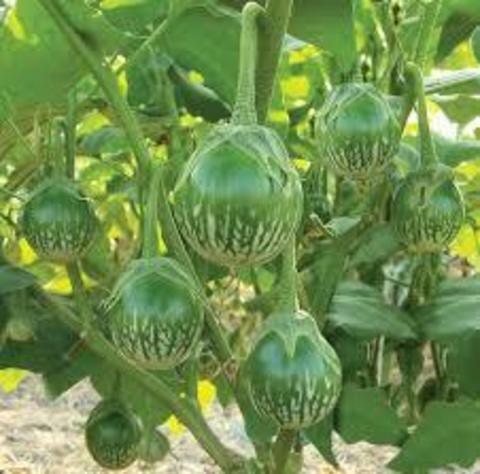 Thai eggplants, botanically classified as Solanum melongena, are members of the Solanaceae, or nightshade family, along with potatoes, tomatoes, and peppers. 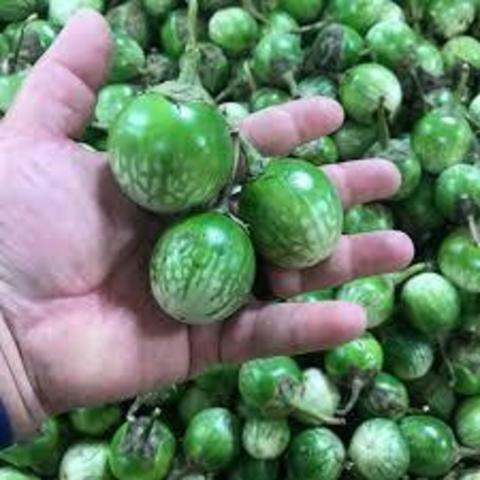 Also known as Round eggplant, Makua pot, and Ma keua praw, Thai eggplants are the given name to many eggplant cultivars of all sizes, shapes, and colors. 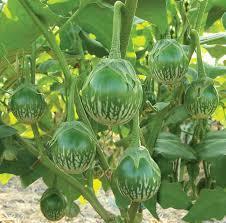 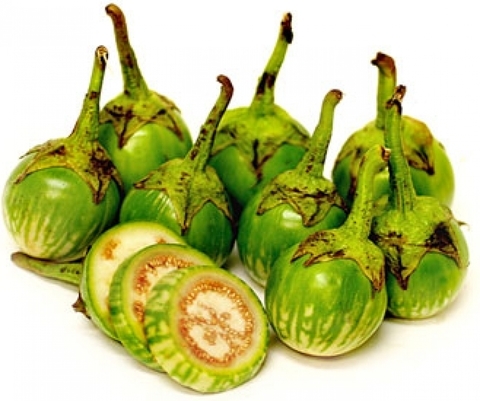 This type of Eggplant very popular in Thai cusinie and will look cute in your edible garden. 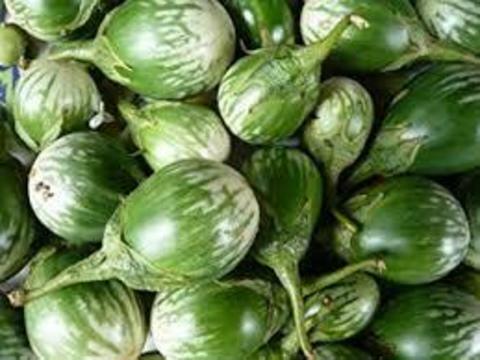 Size : "2 - 3"